New excavations at Bakr Awa were started at the invitation of the Directorate of Antiquities Sulaimaniya. 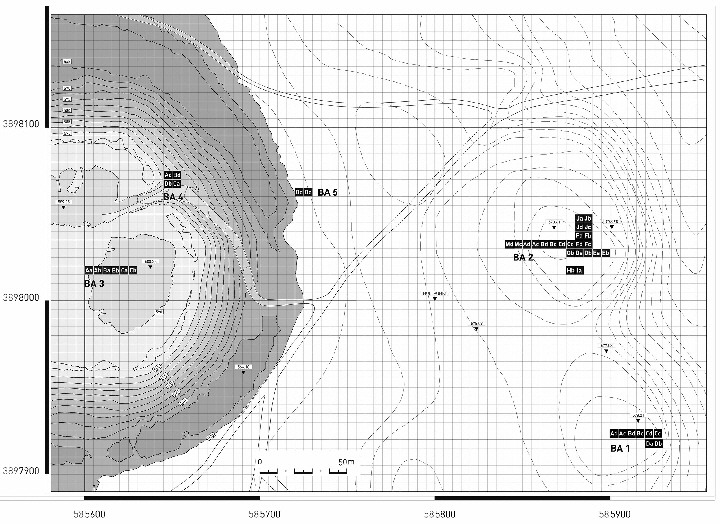 The field work was preceded by an archaeological survey in the Plain of Shahrizor in 2009, which was conducted by Peter A. Miglus (University of Heidelberg) and supported by German Academic Exchange Service (DAAD). During this survey twenty sites on the northeastern bank of the Tanjero River dating from the Neolithic to Islamic period were explored. 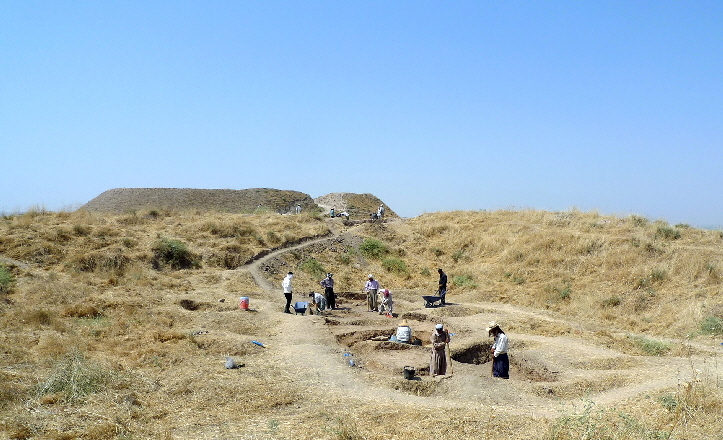 Due to survey results and the constant threat by illicit digging as well as building activities in the recently re-established village, Bakr Awa was chosen for further archaeological investigations. The project is generously financed by the Fritz Thyssen Foundation and supported by the Directorate of Antiquities at Sulaimaniya and the Sulaimaniya Museum. Operation areas BA-1 – 5, seasons 2010, 2011, 2013 and 2014. Area BA-1, situated on a hilltop at the southeastern border of the lower city, was opened in season 2010. Area BA-2, which is partially identical with the old Iraqi excavation trench from 1960/61, is located on a mound at the eastern border of the lower city. Investigations were re-started in season 2010. Area BA-3 on top of the citadel was opened in season 2011. Area BA-4 at the eastern slope of the citadel is placed where the ramp leading to the top of the mound cuts through the remains of ancient fortifications. It was only explored in season 2011. Area BA-5 was opened in the lower city, on the outer eastern slope of the moat around the citadel mound, during season 2013. Area BA-6 at the southwestern slope of the citadel has been excavated by Iraqi archaeologists in season 1960.